Using Edwards Pools was the BEST decision we could have ever made! We couldn't be more pleased with how the whole process went. Nathan and his crew did an Amazing job putting in our inground pool. They were always here exactly when they said they would be, and were always available and knowledgeable with any questions that we had, from beginning to end. As others have said,”They truly do have the pool building process down to a science! Quick, Quality and Professional work with Outstanding customer service! 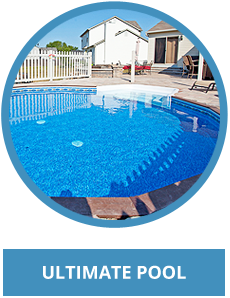 We love our inground pool and would Highly Recommend Edwards Pools to everyone!" "I just wanted to write and let you know how great it was dealing with Edwards Pools for my install. From meeting your father for the estimate to Nathan, Jeremy and there crew installing. Working as Operations Manager for a Commercial Cabinet Millwork shop I am on commercial job sites on a regulator basis. It doesn't take long to figure out if someone doesn't know what there doing. Within 10 minutes of arriving at my house Jeremy was counting the parts to make sure they were all there. Nathan laid out my pool to within a 1/4" of my post for my deck and the other gentleman began plumbing the pump. It was like a pool installation orchestra. It was the obvious the right hand knew what the left was doing throughout the entire installation. It was really enjoyable to watch Nathan on the bobcat level a 32' diameter circle to within a 1/2" in 45minutes while talking on his Bluetooth. LOL good stuff. I will defiantly recommend Edwards Pools to anybody I hear of considering a pool installation." "From day one everything about Edwards Pools was outstanding. I could write pages about how helpful, knowledgeable, understanding and down right nice Nathan, Jeremy and all of their crew was. We had a wonderful experience working with them putting in our in ground pool. We only recommend Edwards Pools to anyone who needs a pool or just service. That is how happy we are with our pool and the service we received from them. Thank you for everything!!" "Edwards Pools are terrific with customer care & service. They helped us choose the right pool for our needs and budget. They did a great job on the install & the kit they provided with the purchase of the pool gave us everything we needed to get the pool up and running for a great summer of swimming. Edwards Pools staff are friendly & very helpful… even after install. They let us know they were there for us if we had any questions or issues we might need help with. We would definitely recommend them to anyone interested in purchasing a pool. We are very pleased that we purchased our pool from Edwards Pools." "Our pool was damaged this Spring when a large tree fell during a storm. It was hard to find anyone who would work on an above ground pool. We were lucky to find Edward's pools. We did find one other company but, their estimate was out of sight. Edward's pools did a great job at a reasonable price. Tammy was very good at communicating with us, she and I together picked out the liner design on the internet over the phone. She kept us advised of when the work would take place and made sure all the parts we needed were here when it was time. The workers did a great job and made it look easy! But since we have replaced our liner ourselves in the past, we know it's not! We are very satisfied with our whole experience with Edward's pools and would highly recommend them. They even sent me a new chemical reader when the first one failed to work!" "I just wanted to take a moment to brag about the service we have received with your company. My family has wanted a pool for several years. My husband, Dan and I were not very knowledgeable in the area of swimming pools. Dan researched several pools companies and we chose Edwards Pools. Nathan, Tammy, Jeremy and Melissa are very professional, knowledgeable and friendly. Nathan came to our house to determine best placement site for our pool, explained maintenance and installation. The big day finally came for installation of our pool. Nathan and his crew had the area leveled, pool assembled and began filling with water within 3-4 hours. Impressive! The pool itself is of excellent quality. Follow up service is second to none. Tammy and Melissa are always available to ask questions.Thank you Edwards Pools for a great buying experience. We certainly have enjoyed our swimming pool." "Our experience with Edwards Pools from the first phone conversation with Tammy, the site inspection visit with Gary, and the installation with Nathan, Jeremy and their crew has been outstanding! Because we had a limited budget we asked for Gary's advice, and we chose the Summerfield 24' round above ground pool. The quality of this pool and the professional installation provided by Nathan and Jeremy have far exceeded our expectations. We are so glad that we chose to have the center drain installed as this has saved us hours of cleaning and maintenance. It would not be an overstatement to say that the center drain almost makes caring for your pool effortless. One of the most important things I can say about the staff at Edwards Pools is that their service does not stop after you pool has been installed. The staff has been extremely helpful in answering the question and concerns that came up after our pool was installed. This pool has provided countless hours of fun with our children, grandchildren, and family this summer that can not be measured in dollars and cents. Thank you everyone at Edwards Pools!! We highly recommend anyone who is in the market for a swimming pool to contact Edwards Pools." "We chose Edwards Pools based on a recommendation of a friend. We found them to be professional and courteous. They worked all of our appointment around our schedules. They were upfront and honest about pricing and never tried to push more expensive products. Our pool was built very quickly and we are extremely happy with the results. I would recommend Edwards Pools without reservations to anyone who is thinking of building a pool." "Our experience with Edwards Pools has been wonderful! Nathan is very informative; providing prompt and honest responses to our questions and concerns. We highly recommend Edwards Pools to anyone who is looking for quality work, a professional crew and top-notch customer service. Thanks again Nathan!" "To everyone at Edwards Pools, Thank you so much for doing such an excellent job on our above ground pool. We absolutely love it. The entire experience doing business with you all was wonderful; we really appreciated the no pressure experience, dealing with a family operated business, and the perfect pool installation. Also thank you so much for being so understanding with our miscommunications about someone being home, the fence and the missing check book! We will highly recommend you all to anyone wanting a pool. Thanks again!" "I have spent most of the winter researching and shopping around for a new liner with installation for my above ground pool. We decided on Edwards Pools and could not be happier. Today Nathan and his crew came to install the liner and bring the other parts we purchased from his company. The workmanship is exceptional and the staff was great to deal with. They also beat everyone with their prices. The best part was that it was all done on line and on the phone. I never had to leave the house. If you are looking for pool work or parts I encourage you to contact Edwards Pools at 740 385-POOL/ www.edwardspools.com or Nathan who is copied above. There is nothing in this for me. Just was very impressed with this company." 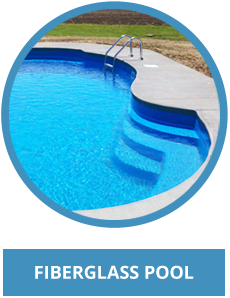 "My experience with Edwards Pools was, and continues to be, one of superior professionalism and quality work. I would highly recommend them for any inground pool installation. Thanks again Nathan, Tammy and Jeremy!" "Edwards Pools had been involved with servicing and maintaining a prior pool of ours with wonderful results. When we built our new home they were the logical choice for our pool installation. "They are extremely knowledgable on installing and maintaining of pools. Nathan has always answered any concerns or question we have had on the operation of our system." professional and informative person I talked with. He went above and beyond to answer my questions, provided excellent references, and done exactly what he said he would do. If you want a pool I have done your research for you, if he can please me he can please anyone." "Undoubtedly the best decision was using Edwards Pools for our Pool investment. Edwards completed all the construction themselves. Having the owners at the site daily doing the work makes you feel at ease. Edwards Customer service and satisfaction continues to be the 'BEST ANYONE COULD ASK FOR'." 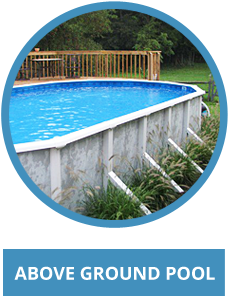 "Our experience with Edwards Pool Company has been absolutely wonderful. Not only during the installation of our pool, but since then they have also been diligent in closing and opening our pool each season. I have heard many friends that also have inground pools complain of the service they’ve received from their installer and are now using Edwards Pools to open and close their pools. My wife Kathy and I could not be more pleased with the quality, service and professionalism dealing with Tammy, Nathan and their wonderful staff." "From start to finish, we found Edwards Pools to be an organization that was honest and delivered a quality product. Each step of the installation (from preparing the site, to pool installation, to concrete work, to installing the security fence, to the final grade) was completed timely and always with the highest set of standards. When we did experience a manufacture defect in the liner, Nathan and his professional crew were quick to react and resolve the issue at no additional cost to us. We highly recommend Edwards Pools." "When constructing our pool during the summer of 2008, Nathan and his crew arrived on time and worked full days often into the evening hours. The pool was completed well within the time and cost parameters. Their work ethic was the very best and they went far beyond our expectations. When we were uncertain about maintenance and care, Nate always returned our phone calls and many times came to the house to show us how to use the system. We will continue to use Edward’s services for opening and closing our pool or other maintenance." "Our swimming pool is now complete except for excavation of the removed dirt and reseeding. We have been using it for a few weeks and enjoyed it very much. It is not only enjoyable but also provides still another beautiful setting for our property. What we have is kind of elaborate with the automatic cover, water falls, slide and heat source. We appreciate your efforts and want to let you know we are happy with your work. In particular, I was impressed that you were able to answer any of our questions and knew exactly what needs to be done and did it. We would not hesitate to recommend your work to others." "We would like to thank you for the excellent work you did putting in our inground pool and installing our fence. We couldn’t be more pleased with everything. The safety cover offers not only the peace of mind we were looking for, but will help keep maintenance to a minimum. We would love to show prospective clients our beautiful pool. Feel free to use us as a referral." 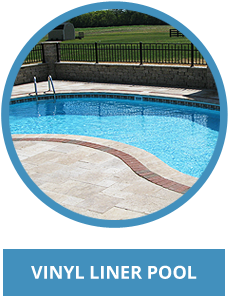 "Our experience with Edwards Pools was very enjoyable. They were professional and their rates were very reasonable. Our project was completed in a timely and efficient manner and everyone we worked with was courteous and helpful. We love our new in ground pool with automatic cover, heat pump, and salt chlorinator and we would definitely recommend Edwards Pools!" If you have had a great experience with us, we'd be happy to hear from you!